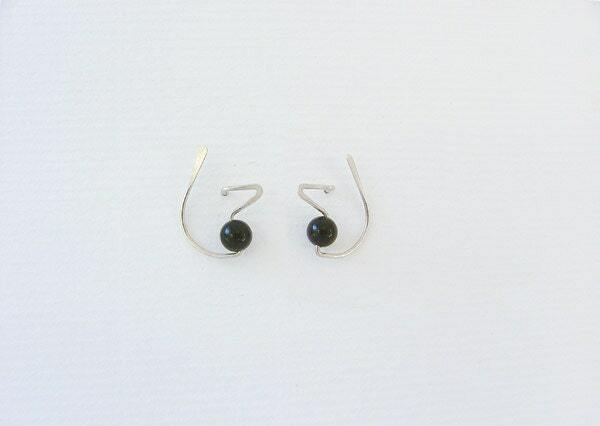 These fun little earrings are small enough to be conservative, but funky enough to attract compliments. This is one of my very first designs, which took 2 hours to design! I wanted it to be different from what is normally seen. You may order this with your choice of bead, and metal. It is normally about 1.5 cm long. 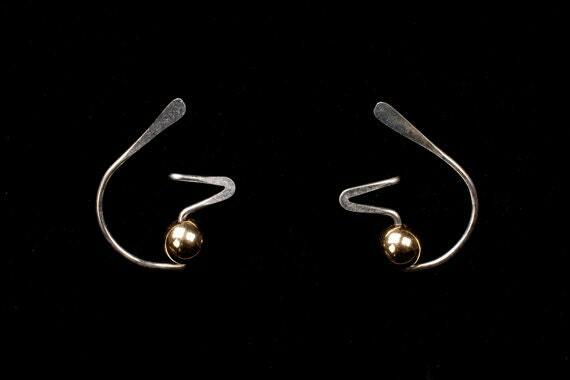 I love the contrast of the silver earring with the gold filled bead, as shown here. Or order it in any of the many colours of allergy safe niobium. A great affordable gift for any woman on your list!